Browse today's newest Bridlewood homes for sale & Calgary real estate listings below. First established in back in 1998, Bridlewood is one of the newest communities in Calgary, which is why almost every residence here features aesthetically attractive and modern designs. Discover the hottest Bridlewood neighbourhood properties for sale now! Schedule a guided home tour today with your Bridlewood Calgary real estate agents. Bridlewood housing market statistics: As of April 25, 2019 there are currently 52 properties for sale in Bridlewood listed as active, with an average asking price of $392,429. The highest-priced property is $524,900; the lowest priced property can be purchased for $149,000. 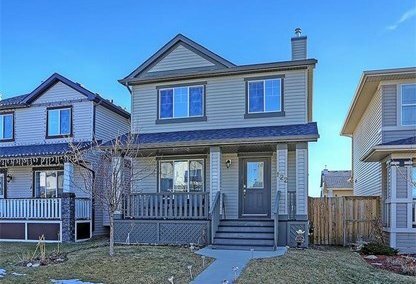 Bridlewood neighbourhood listings have an average price of $266 per square foot, based on listings with 3.1 bedrooms, 3.0 baths, and 1,510 square feet of living space. 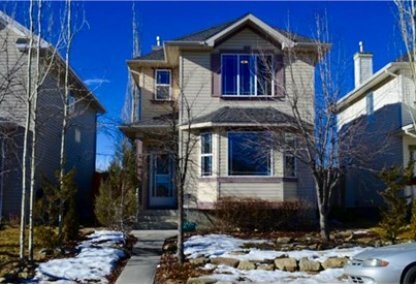 Want to purchase a home in Bridlewood Calgary? Call your Bridlewood real estate team, Justin Havre at RE/MAX First - 403.217.0003. Your neighbourhood Bridlewood real estate agents and agents are here to help with the Bridlewood housing market in Calgary. With more than a decade of urbanization, the picturesque community of Bridlewood witnessed the construction of numerous housing units, wherein single-detached dwellings comprise roughly four-fifths of the total number of houses. The remaining one-fifth consists of a relatively balanced mix of apartments, row houses, and semi-detached residences. Unlike other neighborhoods, statistics show that this community’s population increased over the past few years: from 8,929 in 2007 to 11,641 by 2011. Bridlewood real estate also offers a range of amenities to its inhabitants – within the community is a long stretch of open grassy parks, which have become a favorite picnic and recreational area among residents. To the east side of the property is the Bridlewood Creek Wetland, a development that acts as a nature reserve for small birds, while simultaneously showcasing a plethora of fauna and flora. In addition, there are bicycle paths interlaced across the neighbourhood, which is great for cycling, but typically used for morning walks and jogs. Bridlewood’s location is also a noteworthy bonus enjoyed by home owners, as it’s close to numerous commercial establishments such as the Shawnessy Shopping Centre – a mall that houses grocery stores, shops, cafes, diners, and theatres. Furthermore, the downtown area can conveniently be accessed through the Macleod Trail. This neighborhood also features Catholic, Christian, and public schools (three in total): Monsignor J.J O'Brien, Glenmore Christian Academy, and Bridlewood Elementary. Alternatively, residents are also given the option of sending their kids to other educational institutions conveniently located just a short drive away. Thinking of buying or selling a home in Bridlewood? Let our local real estate agents help guide you through the purchase of your next home, or to expertly negotiate the sale of your current home. As local Bridlewood real estate agents, we're experts on the market dynamics unique to the Bridlewood real estate market. We'll get to work for you today! Contact Justin Havre at RE/MAX First - 403.217.0003 to learn more about buyer or seller representation. Planning to sell your Bridlewood home? Check out our free home evaluation, where you can instantly price your Calgary home price your Bridlewood home online, in minutes!